Follow these tips and tricks on how to make your Arizona backyard work for you and you're sure to have a lot of fun designing your backyard. While Arizona does get very hot in the summer months, the rest of the year is quite pleasant to be outdoors during the day. It's nice to have a lounge area with some outdoor furniture to relax in your backyard and to entertain guests. You could even hang a hammock for extra-indulgent relaxation. It's best to also have a coffee table and a few comfortable chairs in your backyard. 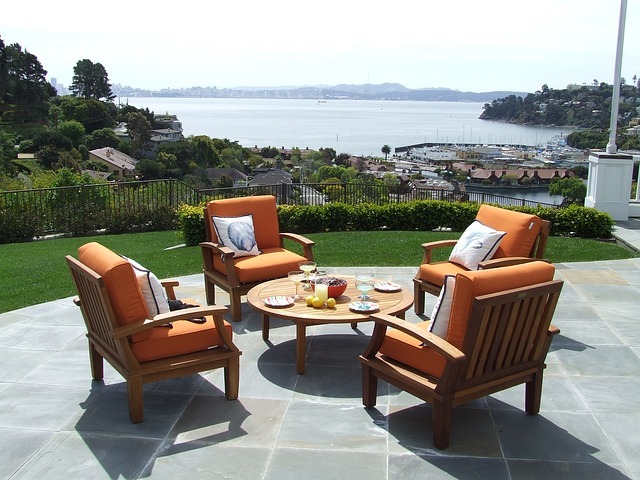 Wicker works nicely for outdoor furniture and holds up well through a variety of weather scenarios. Finally, create this lounge area in a shady spot so that it's comfortable to use for long periods of time. If you don't have much shade in your backyard, you could purchase some shade sails and set them up around your backyard lounge area. Everyone knows that the Central and Southern parts of Arizona can get very hot in the summer. If you happen to live in one of these areas, consider installing misters in your backyard to keep you cool all summer long. Misters can reduce temperatures by as much as 25 to 30 degrees. You can install them along the edge of your lounge area, grill, or pool. Your kids and house guests will thank you for creating a cool environment even in the thick of the desert heat. Having a shed in your backyard reduces clutter in your garage and closets. Keep all your lawn care tools in the shed for easy access. Alternatively, if you choose not to do yard work and would rather leave it to the professionals to tend to your Arizona sod lawn, then you can install a shed and transform it into something useful for you, such as an afternoon nap and reading area, a playhouse for the kids, or an office! Is the area in the sun or shade? Do you have a reel or rotary motor? If you need more guidance, check out our Lawn Selector tool that will guide you to the right type of Arizona sod for your lawn.